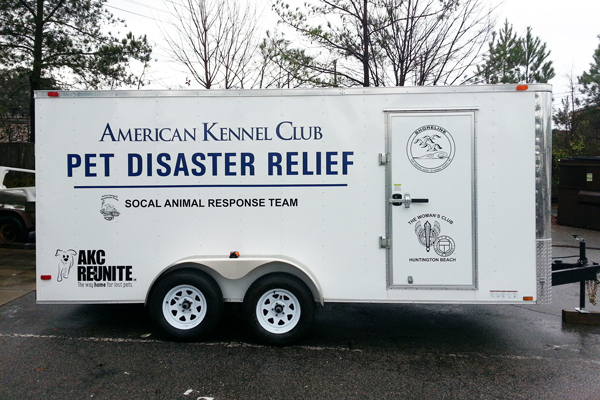 Southern California pets will be a little safer now that the SoCal Animal Response Team (SCART) has obtained an AKC Pet Disaster Relief trailer, an emergency trailer that helps create a safe, temporary home-base for at least 65 pets immediately after a disaster is declared. 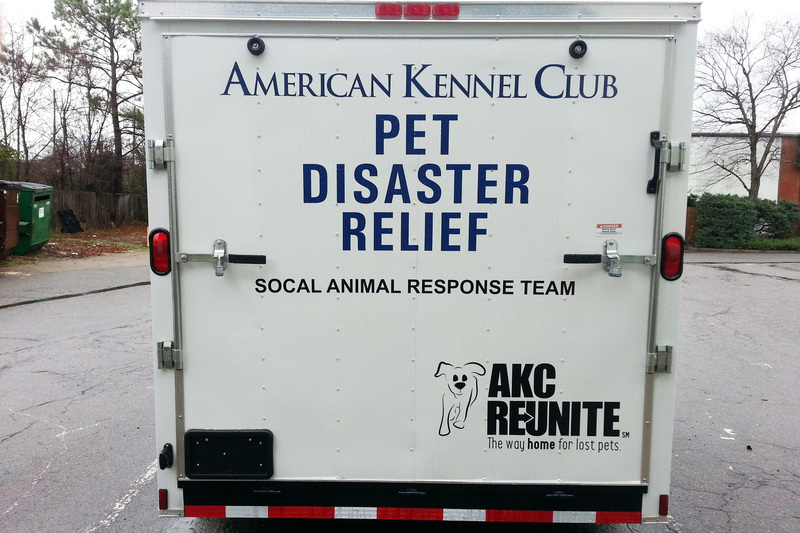 The trailer’s purchase was made possible by more than $22,000 in donations from the members of the Shoreline Dog Fanciers Association and the Woman’s Club of Huntington Beach, as well as AKC Reunite, the nation’s largest non-profit pet identification and recovery service. 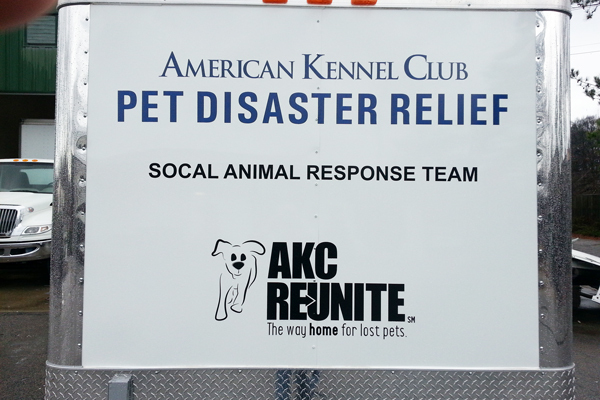 It will be presented to SCART this weekend and play a major role in the organization’s Animal Evacuation Shelter Training exercise. 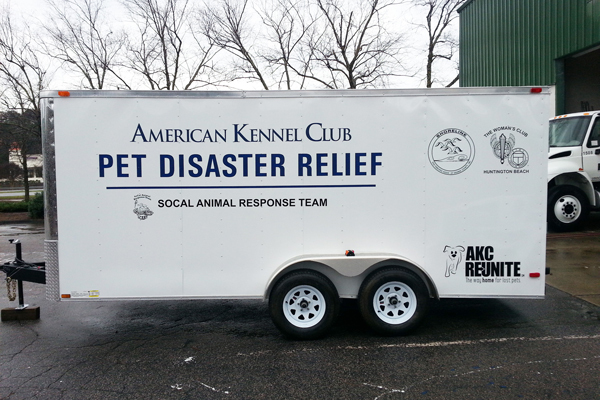 “Our members wanted to make it easier for our local community to help pet owners in times of need, and we’re very proud to donate this AKC Pet Disaster Relief trailer to the area to assist in their future response efforts,” said Kathy Webster of the Shoreline Dog Fanciers Association and Diane Amendola from the Woman’s Club of Huntington Beach.